Fraser Valley – The eight dark nights of Winter are lit up for the annual Jewish celebration, Chanukah. Much love from the crew at FVN. “Over eight nights in the darkness of winter, Jewish people in every part of the province will light candles to welcome hope, light and happiness into their homes. “Families, friends and loved ones will celebrate the miracles and joy of Chanukah by gathering together, lighting menorahs and sharing holiday treats. These are traditions that have been carried on for thousands of years in recognition of peace, renewal and celebration. 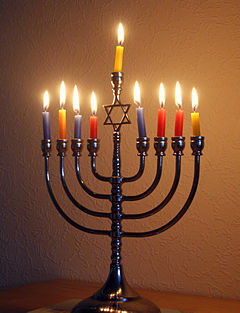 Be the first to comment on "Happy Chanukah"